There’s a lot of information online about hypothyroidism and Hashimoto’s disease. Some of it is accurate and unbiased… but most isn’t. This guide summarises the best recommendations from both science-based and alternative medicine, all in one place. 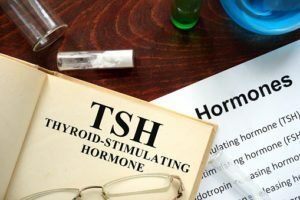 Is TSH An Accurate Marker For Hypothyroidism? 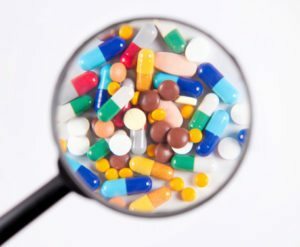 When Should I Take Levothyroxine? Does Thyroid Medication Cause Osteoporosis? What Are The Benefits of Desiccated Thyroid? Should I Supplement These Nutrients (Thyroid Support Supplements)? What If Those Changes Didn’t Help Me? The thyroid is a small butterfly-shaped gland on the front of your throat. It produces two types of thyroid hormone – Triiodothyronine (T3) and Thyroxine (T4). These hormones help to regulate metabolism, sending instructions to every cell in your body. Many metabolic processes shut down without them. Summary: The thyroid is a small gland on your throat central to regulating metabolism. Hypothyroidism (also known as an underactive thyroid or low thyroid) is the term to describe a thyroid gland that does not produce enough thyroid hormone. It’s estimated that up to 8.5% of people from Western countries has hypothyroidism. That’s around 20 million Americans (1). Left unmanaged, hypothyroidism leads to numerous health problems such as rapid weight gain, fatigue, poor memory and hair loss. Summary: The inability of your thyroid gland to produce adequate hormone is called hypothyroidism. It’s estimated to affect around 8% of the Western world. 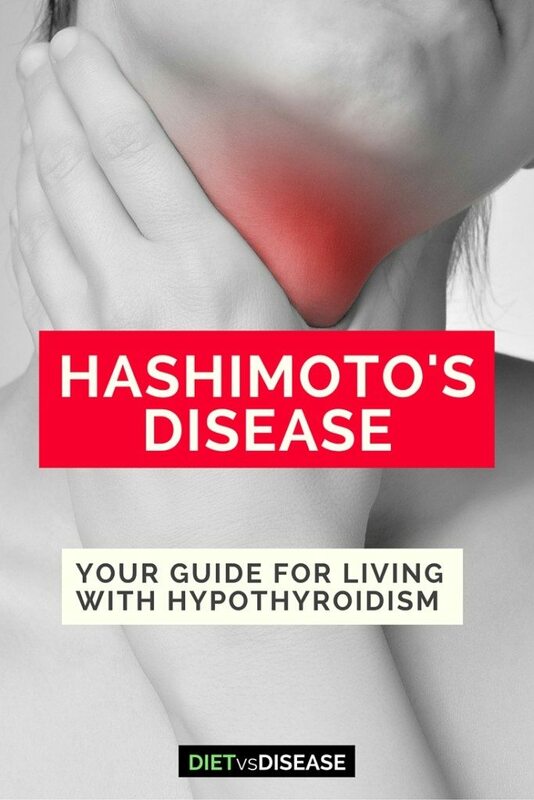 Hashimoto’s Disease is easily the most common form of hypothyroidism in the Western world. It’s also known as Hashimoto’s Thyroiditis and Hashimoto’s Hypothyroidism. It occurs when your immune system mistakenly attacks and damages the thyroid gland. 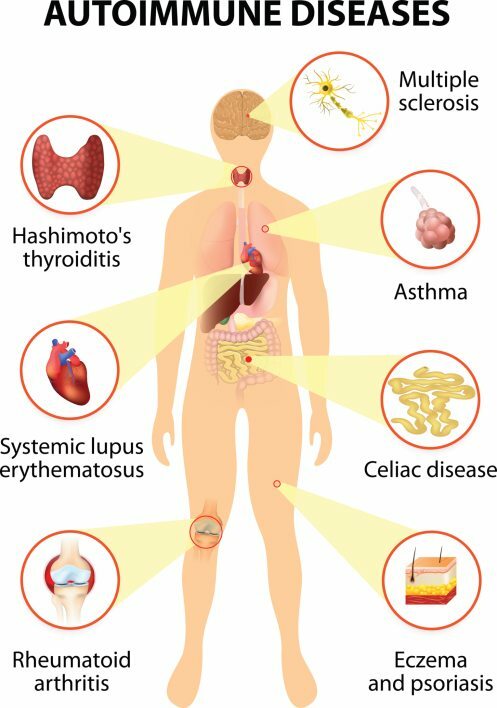 This is what is known as an autoimmune disease, with Hashimoto’s being the first recognised condition. There are many theories as to why people develop autoimmune diseases. The main reasons remain unclear to researchers, but it appears to be multifactorial. Your genetics, environmental factors (including stress, infections or drugs), and the balance of gut bacteria (gut dysbiosis) are thought to be key triggers (4). The main focus of this guide is Hashimoto’s disease, although many aspects still apply to other causes of hypothyroidism. What Is Leaky Gut and Is It Real? Leaky gut (syndrome) is a condition thought to cause autoimmune diseases, including Hashimoto’s. At least, theoretically. The idea is the lining of our gut (intestine) can expand or “leak” under stress. 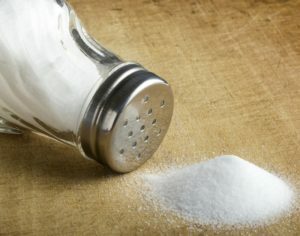 This can allow large food molecules and other compounds into the bloodstream, rather the just the usual small nutrients. These large food molecules then interact with the immune system to cause severe problems. It’s said to be the root cause of mental health problems, autoimmune disease, irritable bowel disease and more. The concept is recognised in medicine as intestinal permeability, and is known to be a symptom in patients with inflammatory bowel disease or celiac disease. However, no studies indicate it causes diseases or conditions, nor that it occurs in otherwise healthy people (5). The science in this area is far from conclusive though, and the theory could very well hold some truth. But to confidently claim it’s the root cause of numerous health conditions – based on our current understanding – is misguided and misleading. Summary: Hashimoto’s disease is an autoimmune disease caused when the immune system mistakenly attacks and damages the thyroid gland. It’s not understood why autoimmune problems occur, but diet and stress both play a large part. 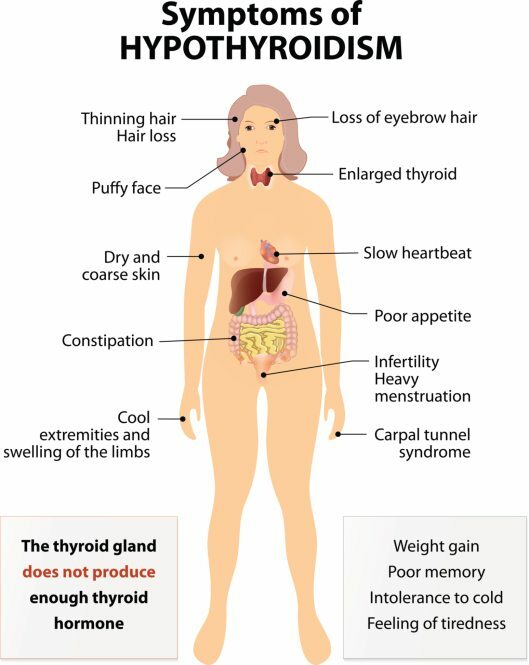 There are many well-recognised symptoms of hypothyroidism (Hashimoto’s and otherwise), which you can see here. If you experience three or more of these hypothyroid symptoms, it’s recommended to have your thyroid checked at the doctor. Diagnosis is based on a combination of physical examination, blood tests, medical history and family history. Your doctor or GP provides the initial examination and blood test. 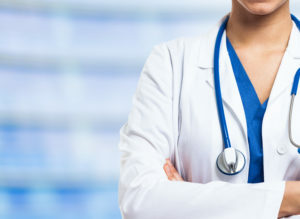 Depending on the result, you may be referred to an endocrinologist (also known as an “Endo”). This doctor specialises in the endocrine system, which includes the hormones and related organs and glands. Are pregnant or intend to become pregnant and already have diagnosed hypothyroidism. Patients often require up to 50% more thyroid hormone during this time. Summary: You will most likely be referred to an Endocrinologist, who specialises in hormones. You will typically be asked to drink a glass of water while the doctor feels (palpates) your thyroid. Your doctor is looking for thyroid enlargement (goiter), or any strange lumps in the area around your thyroid (6). Summary: Physical checks usually involves palpating areas around your thyroid. 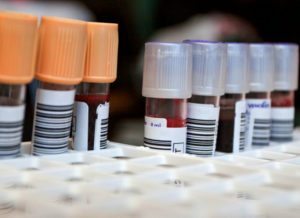 Blood tests are the most important for diagnosis as specific tests reveal exactly how well your thyroid is working. It (usually) fluctuates in line with the amount of thyroid hormone in your system. If thyroid hormone levels are low, then TSH secretion is increased. If high, TSH is reduced. This makes it a useful marker for testing thyroid function, and has been the gold standard hypothyroidism diagnosis test for decades. You doctor will usually re-check TSH every 3-6 months. Those on Levothyroxine have a goal TSH range of 0.5-2.5 mU/L. However, some organisations believe a reading of 2.5 or less is truly ideal, with anything 2.5-4.0 mIU/L considered “at risk”. Also note slight variations in results can occur depending on the laboratory used, as well as the time of day your blood was drawn. T4, or thyroxine, is the active thyroid hormone in your blood. Free T4 refers to the amount of total T4 available in your tissues. Your doctor may test how much free T4 is in your blood to help diagnose Hashimoto’s, but the test is used to complement the TSH test. 0.7-2.0 ng/dL or 10-26 pmol/L. This test measures free T3 hormone levels, however is rarely ordered to diagnose hypothyroidism. Reverse T3 (rT3 or REVT3) is an inactive form of T3. Normally your liver converts a large percentage of T4 into T3, with a smaller percentage becoming rT3 before being eliminated from the body. However, in certain period of stress, as much as 50% or more of T4 will convert to rT3. This is a problem because rT3 competes with T3, and ends up inhibiting T3 production. Reverse T3 is not a conventional test used by endocrinologists, although integrative practitioners believe it should be used more often. With an autoimmune disease, antibodies are malfunctioning immune cells that mistakenly attack the body’s healthy cells. In the case of Hashimoto’s, these antibodies attack the cells of the thyroid gland. An antibody test such as a TPO antibody test or anti-thyroglobulin antibody test can reveal the level of harmful antibodies in the blood. These are the antibodies that inhibit important enzymes involved in thyroid hormone production and function. Summary: TSH is considered the gold-standard for diagnosing hypothyroidism, however occasionally additional tests will be required. There is some disagreement between conventional and alternative practitioners on the significance of certain tests. Endocrinologists have long considered TSH the most sensitive and accurate indicator of hypothyroidism. However, recent research suggests it’s far from perfect. 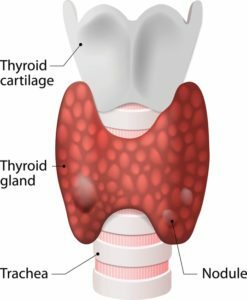 The medical system’s systematic reliance on it may actually be leaving many hypothyroid cases under-diagnosed, or even completely undiagnosed. Some clinical trials showed that TSH and T3 can decline at the same time, particularly in obese individuals that lost weight (7, 8). That means when T3 levels are low, TSH may remain in the normal range rather than becoming elevated. Some medications, such as metformin, have also been shown to lower TSH levels in PCOS and diabetic patients with hypothyroidism (9). Considering the pituitary gland (which produces TSH) is unique in its function, it makes sense that several outside stressors and metabolic processes can influence TSH activity. This is certainly something to discuss with your doctor if your TSH readings are high-normal, yet you still feel seriously unwell. I’ve written in much more detail about TSH here. Summary: Certain outside stressors may influence TSH, so it’s not always 100% reliable on its own. Goiter: An enlargement of the thyroid gland that may affect breathing or swallowing. Heart problems: It has been linked with an increased risk of heart disease, an enlarged heart and, in rare cases, heart failure. Mental health issues: Such as depression and memory problems. Myxedema: A very rare and severe form of hypothyroidism. If you experience extreme cold intolerance and drowsiness seek medical attention. Birth defects: There may be a higher risk of birth defects (ie. cleft palate, heart, brain and kidney problems) in babies born to women with untreated Hashimoto’s disease. If you are planning to get pregnant or if you’re in early pregnancy, be sure to ask your doctor to check your thyroid. In very rare instances, Hashimoto’s disease may increase the risk of developing a thyroid cancer known as thyroid lymphoma. Be sure to report any quickly growing thyroid nodules (lumps) to your doctor as soon as possible. Summary: Hashimoto’s disease must be treated properly in order to avoid several other dangerous health conditions. It may also increase your risk of developing additional autoimmune conditions. Subclinical hypothyroidism is like a mild form of hypothyroidism. Tested positive for antithyroid antibodies. In this case you may or may not require thyroid hormone medication, depending on your doctor’s assessment. About 1 in 10 people with subclinical hypothyroidism will develop hypothyroidism within 3 years (12). Summary: Subclinical hypothyroidism is a mild form of underactive thyroid that may not require medication. However, it does increase your risk of developing hypothyroidism within 3 years. Hypothyroidism is treated with hormone medication, also known as Hormone Replacement Therapy. It’s necessary to restore thyroid function and hormones to a healthy level. Diet and lifestyle changes are also fundamental for treating Hashimoto’s disease, and help support thyroid health and minimise (or even eliminate) symptoms. The most commonly prescribed medication is Levothyroxine, and has been the “gold-standard” treatment since the 1960s. Although Levothyroxine is man-made, it’s identical to the natural thyroxine (T4) produce by your thyroid gland. Summary: Levothyroxine is the main medication, and is identical to the natural thyroxine your thyroid produces. It’s rare that a hypothyroid patient finds their ideal dose right away, especially if already experiencing symptoms. Doctors will typically use weight as an initial guideline for determining dosage, but this will almost always change when you have regular check-ups. Treatment is for life so your needs will change as your body changes. Broad reference ranges can be seen here, but requirements are also on a case-by-case basis. Synthroid is the most commonly-prescribed brand of Levothyroxine, and is available in 12 strengths for easy dose adjustment. Also be aware that thyroid hormone fluctuates throughout pregnancy, so you will have to get blood tests more regularly to manage the dosage. 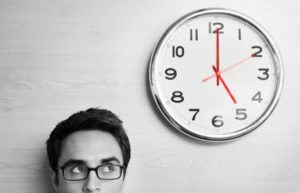 How Long Does It Take To Manage Symptoms? Thyroid hormones act slowly in the body. This means it takes several weeks to months for your symptoms to resolve. This also depends on how well you tolerate your thyroid hormone dosage. One of the first improvements reported with Levothyroxine is improved energy levels (less fatigue). It’s also been shown to gradually lowers cholesterol levels and may help reverse weight gain. Summary: Dosage requirements are calculated on an individual basis with your doctor. It can take weeks or months before noticeable improvements. Levothyroxine must be taken on a fasting stomach. This is because absorption is greatly reduced if consumed alongside food or drinks. That means take it either before breakfast, before you go to bed, or any other time that is at least 1 hour outside of meal times. There have been 4 large clinical trials investigating best time. Out of the 412 patients studied, one study found T4 hormone absorption was better in the morning, one found it was better at night, and two found no significant difference (13, 14, 15, 16). Ultimately, neither option is better or worse than the other. If you want to have your medication in the morning, most find it easier to have a late breakfast (often at work). Alternatively, you can also get in the habit of skipping breakfast altogether. For those who prefer to take their medication at night time, that typically means committing to no food or drink after 8pm (which is a good thing). But insomnia is a common complaint of those who take their medication before bed, as is increased urgency to urinate during the night. Summary: Thyroid medication must be taken on a fasting stomach, at least 1 hour (but preferably 2 hours) before or after food and drink. There is no difference between taking Levothyroxine in the morning vs evening, so choose what is easiest for you to stick with. Levothyroxine is widely regarded as the safest and most effective form of thyroid hormone. However, there are certain health conditions that can influence its effectiveness. Summary: Levothyroxine is the safest, however it may not be appropriate in certain conditions. Undesirable side-effects of Levothyroxine are reported quite frequently, unfortunately. If you experience any of these then you must speak with your doctor. Summary: Side effects of Levothyroxine are not uncommon. Osteoporosis is a progressive bone disease that increases your risk of fractures. It’s thought that hyperthyroidism (overactive thyroid producing too much T4) increases fracture risk, particularly in postmenopausal women and older people (17). For this reason, the long-term use of Levothyroxine (T4) to treat hypothyroidism has come into question. But it’s the age of the patient, and dosage they take, that are the important considerations. There seems to be no significant relationship between the daily levothyroxine dose and fracture risk in “non-severe” osteoporosis patients, such as young adults. However, doses of >150 µg per day are associated with a higher risk of fracture in elderly patients who already have severe osteoporosis (18). Other studies have also found long-term use may increase risk in postmenopausal women, particularly at high dosages (19, 20). Unfortunately, high doses are more common than they need to be, with approximately 20% of levothyroxine patients being over-prescribed (18). This highlights the importance of monitoring your thyroid status and medications regularly with your doctor, especially after menopause. Summary: Long-term or high dose Levothyroxine use does not appear to increase risk of osteoporosis in hypothyroid patients prior to menopause. However, it could very well affect elderly men and women, especially if they already have osteoporosis. Some people do not tolerate Levothyroxine well, regardless of the dosage. The most commonly reported side-effect is severe nausea, to the point where it affects their day-to-day life. Desiccated thyroid is a thyroid hormone supplement made from animal thyroid glands, typically pig thyroid. It’s a popular natural alternative to conventional thyroid medication, and actually became a commercial thyroid treatment before Levothyroxine. It consists of a mixture of T4 + T3 hormones, whereas Levothyroxine is only T4. Summary: Desiccated thyroid is an alternative to Levothyroxine, typically made from pig thyroid gland. Clinical trials using a mix of T4 + T3 (desiccated thyroid) have found it is, at best, equally as effective as Levothyroxine for treating hypothyroidism (21, 22, 23). Note that it never surpasses the effectiveness of Levothyroxine. This is why products like Armour Thyroid are typically used as a back-up option for those who do not respond favourably with Levothyroxine. Summary: Studies show desiccated thyroid can be as effective as Levothyroxine for replacing thyroid hormone, but not consistently. Desiccated thyroid is generally safe. However, even though they are FDA regulated, supplements aren’t subject to the same strict safety and effectiveness requirements that pharmaceutical drugs are. In other words, taking desiccated thyroid comes with more risk for potentially no extra benefit than standard Levothyroxine. Summary: Desiccated thyroid is recognised as safe, but the quality and consistency of doses is not regulated in the same way as medication. The benefits are far fewer side effects for those who cannot tolerate Levothyroxine. In fact, most users (including the participants in the studies cited above) report better tolerance and preference for desiccated thyroid (24). 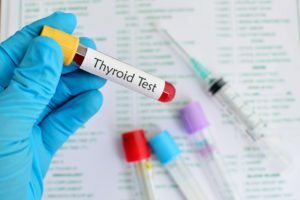 Anecdotal evidence (personal testimonial) suggests desiccated thyroid still treats symptoms effectively, without the common side-effects of Levothyroxine. Summary: Users report much better tolerance than Levothyroxine, which suggests it’s a good alternative. Naltrexone is an FDA-approved drug that blocks opiate receptors. These are the receptors that heroin and opiate drugs binds to, which is why naltrexone was a popular opiate addiction treatment in the 1980’s. As the name suggests, LDN is a low dose of naltrexone. More recently is has been used to “boost” the immune system, with some theoretical and anecdotal evidence it can help treat autoimmune diseases, such as Hashimoto’s. 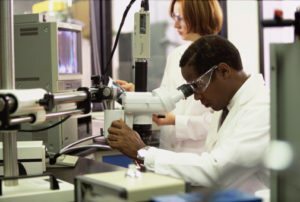 There is some early scientific evidence that has found promising effects, particularly for Crohn’s disease. However, much more research is needed before it should be recommend for other conditions, particularly Hashimoto’s. Summary: LDN is emerging as an alternative treatment for autoimmune disease, but research is in its infancy. The health of your thyroid is greatly influenced by your eating pattern. Understanding what nutrients are key is especially important when your thyroid is underactive. There are several nutrients known to help optimise thyroid health and function. Iodine is a trace element the thyroid gland requires in order to produce thyroid hormone. An iodine deficiency can cause hypothyroidism, however, this is very rare in developed countries. Iodine is abundant in our food supply, with most countries adding it to food-grade salt or bread (25, 26). As an example, the World Health Organization (WHO) deems a population iodine deficient if urine concentration levels are less than 100 microgram/L. Americans had a median level of 160 microgram/L in 2003-2004, while Australians were at 124 microgram/L in 2011-2012 (27). 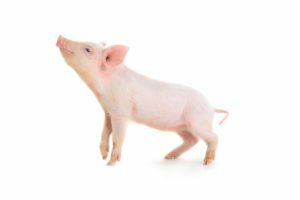 You can learn more about dietary iodine here. Selenium is an essential mineral that helps the body to recycle iodine. That’s the reason the thyroid has the highest selenium content (per gram of tissue) of all our organs (28). Zinc is an essential mineral required to regulate the hormone that stimulate thyroid hormone production, TSH. In fact, the metabolism of zinc and thyroid hormones are closely interlinked, which is why a deficiency can lead to hair loss (known medically as alopecia) (29). Natural thyroid support supplements typically contain one or more of the important nutrients for thyroid health. But are they necessary? This is a very common question, and you can’t expect an unbiased answer from the supplement manufacturer. Let’s break down the 4 main nutritional aspects that thyroid support supplements claim to assist. This is because iodine deficiency is almost never the cause of hypothyroidism in developed countries (27). The big exception to this rule is if you are pregnant or breastfeeding. Iodine requirements increase by more than 60% as iodine is required for mother and child. Women who fall into this category should definitely be supplementing with iodine, as per the World Health Organisation’s recommendations. Note that in some instances of Hashimoto’s, concentrated iodine sources such as iodine drops, seaweed or kelp tablets may worsen hypothyroidism. 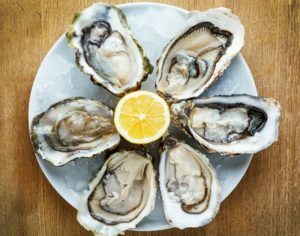 This is another reason to be weary of iodine supplementation, and you should certainly inform your doctor before trying anything new. Selenium is a popular thyroid supplement, and theoretically could help if you are actually deficient in selenium. A large review of the research in 2013 concluded evidence is lacking to definitively support or refute the use of selenium for thyroid health. Some studies found it could help, but they were heavily biased (30). In other words, it’s unclear if is beneficial from a scientific standpoint. It does look promising for those with Graves’ disease, and anecdotally it helps, but you need to try for yourself (31). Note there is also the risk of side-effects to consider, including digestive issues, fatigue, irritability and even hair loss if used long-term. 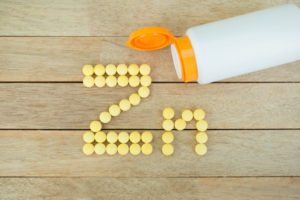 There are few studies on zinc supplementation, with one finding it may only be beneficial for patients with goiter (32). Therefore, there is no way to give a solid recommendation for or against its use. If you are experiencing hair loss, it may be worth trialling a zinc supplement on its own (as opposed to a supplement that also contains selenium). Vitamin B12 is a micronutrient that helps regulate energy release. Low levels can make you feel exceptionally lethargic, so in theory this supplement could help fight fatigue that comes with underactive thyroid. Generally speaking it doesn’t hurt to give it a try, and anecdotally they work very well. But much like iodine, low levels of vitamin B12 is very rare in developed countries if you eat a wholesome and varied diet. Summary: Generally speaking, supplemental iodine and vitamin B12 are not necessary as your levels are likely optimal. Selenium and zinc supplements are certainly beneficial if you have low levels, but effectiveness will vary greatly between individuals. Always consult with your personal doctor before trying any new supplements. Gluten is a protein that naturally occurs in wheat and grains. It’s poorly digested by around 6% of the population, and many studies have found a strong link between gluten intolerance (as well as celiac disease) and hypothyroidism. In fact, roughly 16% of those with celiac disease (another common autoimmune disease) have antibodies that damage the thyroid (33). 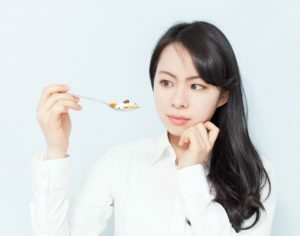 Based on this link, many researchers suspect that individuals with Hashimoto’s may improve when gluten is removed from the diet. However, current research is a mixed bag. In other words, it really depends on the individual. If you have a family history of autoimmune disease, or your symptoms are not improving despite lifestyle changes and thyroid medication, removing gluten from your diet may be of great help. To learn more about the studies and recommendations, click here. Summary: Numerous observational studies and anecdotal reports suggest gluten-free is beneficial for hypothyroidism. It is certainly warranted in some cases. Goitrogens are substances that, in large doses, can aggravate the thyroid and disrupt the production of thyroid hormones. 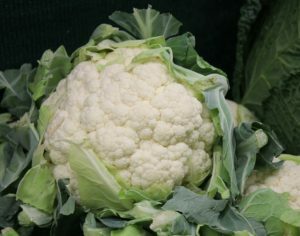 Cruciferous vegetables such as cauliflower, cabbage and broccoli are the richest source of goitrogens in our diet. 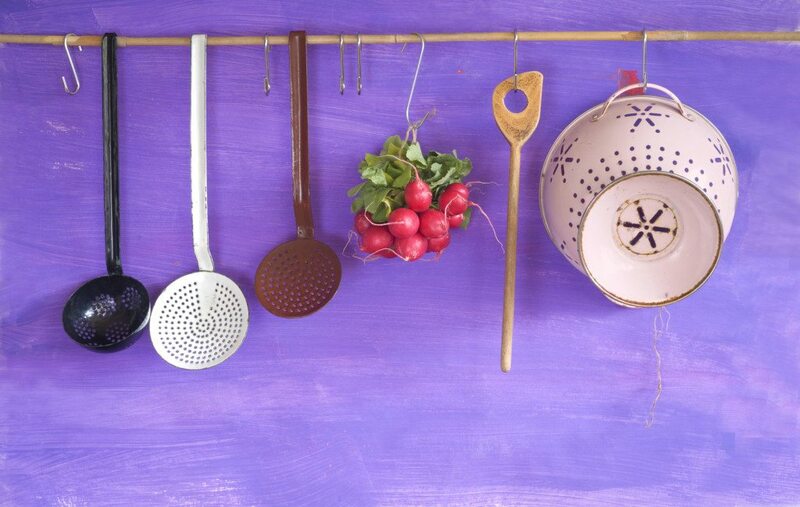 Theoretically then, eating these foods would be bad for your thyroid. However, studies show this is only the case if you are severely iodine deficient (incredibly rare in developed countries), you have a goiter, or you consume ridiculously large quantities of cruciferous vegetables. The idea that goitrogens harm the thyroid really took off in the mid 1990s. Rats fed a diet rich in raw cabbage suffered thyroid problems after 60 days, even with optimal iodine intake. However, for the purpose of that study, cabbage made up a whopping one-third of the rats’ diet (34). For a human to eat this amount of raw cabbage – for 60 days straight – is impossible. Then there was a stand-alone case study of a Chinese lady that “overdosed” on goitrogens. She was diagnosed with severe hypothyroidism (myxedema coma) after eating an estimated 3.3 lbs (1.5 kgs) of raw bok choy per day for several months (35). She believed it would help control her diabetes. Assuming you don’t eat phenomenal amounts of raw cruciferous vegetables every day, they are safe to eat. In fact, cruciferous vegetables are so nutrient dense that they will do you much more good than harm. Additionally, cooking cruciferous vegetables and other foods containing goitrogens are thought to greatly reduce its potential impact. A small study in 10 subjects showed that eating 0.3 lbs (150 g) per day of cooked brussels sprouts for four weeks straight had no negative effects on thyroid function (36). The other concern is that goitrogens inhibit the absorption of thyroid hormone if consumed at the same time. While this may be true, thyroid hormone should always be taken on an empty stomach at least 1 hour before any food. Summary: If you don’t have a goiter or an iodine deficiency, cruciferous vegetables are safe to eat. Cooking food is thought to greatly reduce the activity of goitrogens in any case. The risk only outweighs the benefit if cruciferous vegetables are consumed in ridiculously large quantities and/or raw. You can find a set diet plan (meal plan) – including the shopping list – here: 14-Day Meal Plan for Hypothyroidism and Weight Loss. Otherwise this list highlights the important nutrient and diet considerations for hypothyroidism. Iodine-rich foods such as potatoes, seafood, eggs, navy beans and iodised salt. Cooked cruciferous vegetables such as cabbage and broccoli in reasonable amounts. These are completely safe if you don’t have goiter. A high protein diet, which helps curb appetite and keep you feeling full. 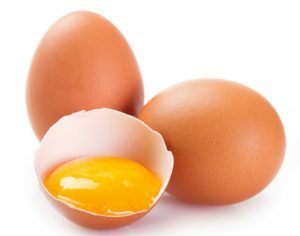 Focus on eggs, dairy foods, legumes and seafood. Gluten if you suspect you have an intolerance or celiac disease, or if you continue to feel unwell despite thyroid medication. Desiccated thyroid unless Levothyroxine gives you unpleasant side-effects. Any food within 1-2 hours of taking your thyroid medication, as this inhibits absorption. Any new supplements without first speaking with your doctor. Anecdotal evidence (individual reports) suggest caffeine should be limited to less than 300 mg per day as large amounts can aggravate the thyroid. This is equal to 2-3 regular coffees. 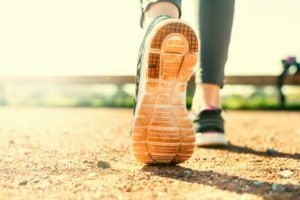 We should all aim to be more physically active, hypothyroidism or not. Not only does exercise improve strength and metabolism, it influences how our body responds to hormones. This includes insulin and thyroid hormones (37). A study of 60 subjects found that short bouts of moderate-intensity exercise (70% of maximum heart-rate) increases circulating levels of T4 and free T4, which is beneficial (38). If mobility is a problem for you, regularly lifting weights (or bodyweight exercises) is an equally great alternative. Youtube is a great starting resource for beginners who want to try some resistance exercise programs at home. Summary: Regular exercise, whether cardio or weight training, can improve how your body responds to hormones such as T4. Several complementary or alternative practices have been trialled for hypothyroidism treatment. Small studies on hypothyroid patients found certain forms of yoga helped improve lung capacity and self-reported quality of life scores (39, 40). However, there is no evidence it directly helps improve thyroid health or symptom management. Meditation and breathing exercises are also popular alternative treatment options. The one related study I found looking at transcendental meditation and its effect on hormones showed no positive influence on TSH levels (41). There is no doubt that stress management practices improve overall health, but there is no direct link to thyroid health at this stage. Summary: Studies do not support a direct link between yoga or mediation and improvements in thyroid health. If several months of diet and lifestyle changes have not improved your quality of life, the next step may be the Autoimmune Protocol diet. Also known as the AIP, it’s a strict elimination diet designed to help manage all types of autoimmune disease, including Hashimoto’s. It’s based on the premise that all autoimmunity issues come from a gut bacteria imbalance plus low-grade inflammation of our cells (42, 43). The AIP diet helps you to identify and remove known and suspected food chemicals that cause these problems; at least theoretically. The lack of studies on autoimmune diseases in general – let alone on the effectiveness of elimination diets – leaves us without any science-based recommendations. In theory the AIP may help if you can stick to it long-term, and the anecdotal evidence (patient testimonial) is impressive. It’s worth considering given there are no other alternatives at this stage. To learn more about this diet plan, click here. Summary: The Autoimmune Protocol diet (AIP) is a strict elimination diet that can be considered a last option. It’s not evidence-based, but theoretically could help. Losing weight with hypothyroidism is typically more challenging than normal. This is because your metabolism has slowed, coupled with always feeling tired. But weight loss is one of arguably the best way to improve how your body responds to TSH and thyroid hormones (44). 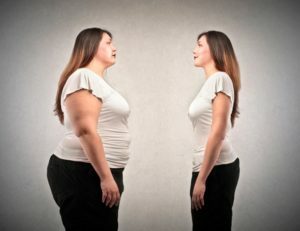 For much more detailed information on how to lose weight with hypothyroidism, see my article here. Summary: Weight loss with hypothyroidism can be more difficult, so it’s important to take a planned, structured approach. The most reliable, objective information you can access will be from your endocrinologist, doctor and dietitian. Thyroid Change, a collaborative network of medical professionals and patients providing information. 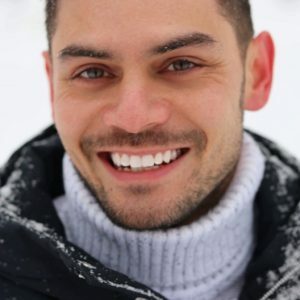 Alternatively this website has a lot of science-based information in the Autoimmune section. There are several great forums and online groups where Hashimoto’s patients interact and support one another. Another individual’s personal experiences can be insightful and helpful, but be mindful that information shared on these platforms may not necessarily be accurate. Dear Thyroid: A whimsical site for people to share their thyroid frustrations.